Cotton Crochet Hat (6-12 months) "Melbourne Cup" >free shipping! 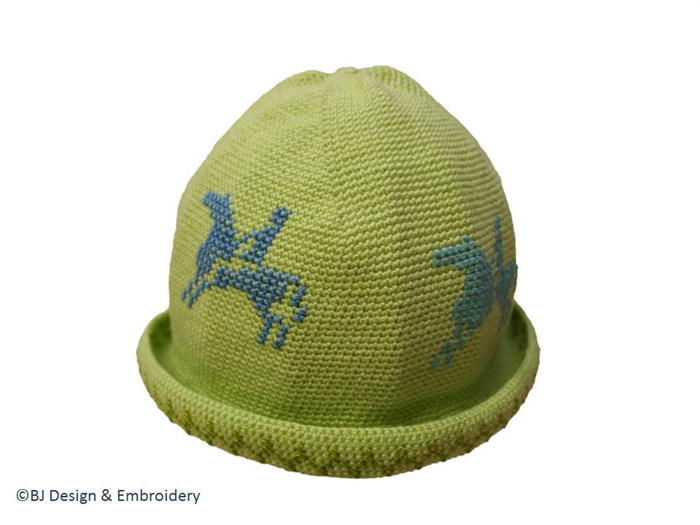 This crocheted hat is made of 100% cotton with 2 embroidered horse riders. It is for approx. 6-12 months.